Fragger – Games for Android 2018 – Free download. Fragger – Throw grenades at your enemies. 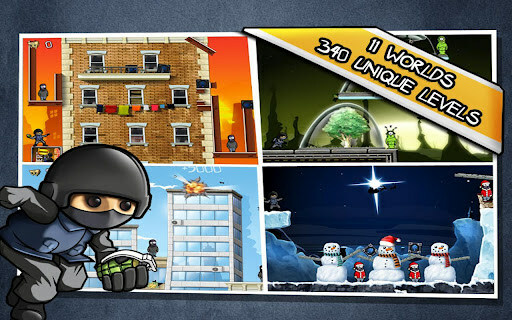 Fragger - is a fun arcade game for Android-devices, their gameplay reminiscent of Angry Birds. The main character, which you operate, is a member unit to combat terrorism. Accordingly, his task will be to destroy the militants. You will have only a grenade, but they are more than enough. At the beginning, the terrorists will be in the open areas, and blow them up in the cellar. 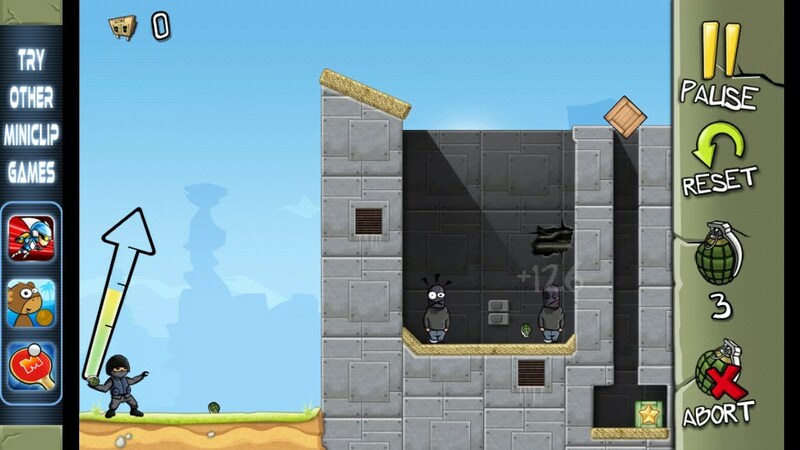 As you progress through the game, they will be hidden in various shelters until the underground bunkers. Entrance there will either be blocked, or it will not be at all. In such cases you will have to throw a grenade into the ventilation shafts and other channels. Of course, to get into a hole, you need good aim and calculate the force throw. Pomegranates should take care, as their number is limited. Moreover, the smaller you are wasting grenades at passing a level, the more stars will get. Sometimes there are such levels that fragmentation grenades as weapons are ineffective. In such cases, they are best used as a means of throwing. That is, once a grenade, for example, the head fighter, you can make sure that it has fallen into the abyss. And if you get him in the head several times, you will see how it starts to boil with anger. In order to prepare for the shot, just touch the screen with your finger. 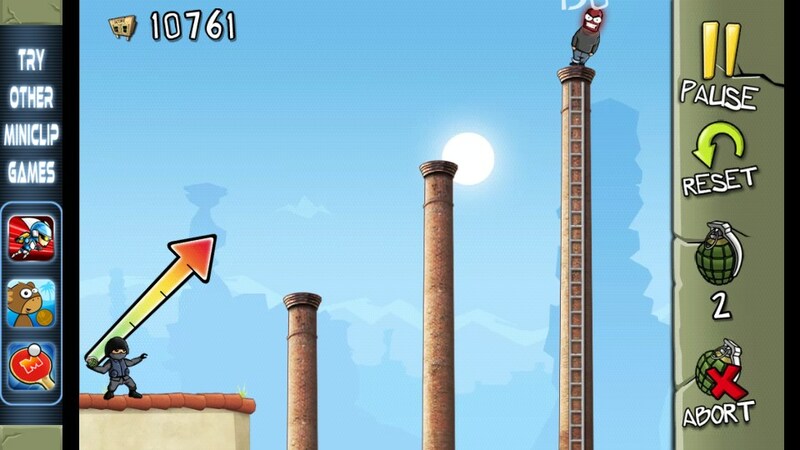 At this time the main character of the bar appears as an arrow, focusing on it, you can choose the direction of throw grenades and set its strength. This is done by means of vertical and horizontal svaypov (sliding finger motion across the screen.) After sighting remove your finger from the screen and estimate accuracy. A total of 370 exciting game levels sampled in 12 locations. The difference in these locations is not only in the areas where the enemy, but also in the fact that they will be aliens, zombies, pirates, and other negative characters. In the game you will please not only the gameplay, but great sound and graphics. Especially amusing animation, which is expressed in the way the characters react to flying overhead or rolled to the feet of the grenade.